DearMYRTLE's Genealogy Blog: What does Ferguson teach the genealogy community? From #MuseumsrespondtoFerguson posted by Linda Norris in the uncataloged museum blog: "As of now, only the Association of African American Museums has issued a formal statement about the larger issues related to Ferguson, Cleveland and Staten Island. We believe that the silence of other museum organizations sends a message that these issues are the concern only of African Americans and African American Museums." How about rephrasing this for the world of genealogy? "As of now, only the Association of African American Museums has issued a formal statement African American genealogists have responded to the larger issues related to Ferguson, Cleveland and Staten Island. We I believe that the silence of other museum genealogists and genealogical organizations sends a message that these issues are the concern only of African Americans and African American Museums genealogy organizations." Yesterday, I read with sadness George Geder's LinkedIn post titled People of Color Absent from Legacy Family Tree [Webinars] in 2015 where he writes "There are so many gifted People of Color genealogists and historians out there that if they aren't part of the conversation or consideration at Millennia, then this is just another sign of exclusion for my people. There's plenty of that going around in and outside of the American genealogy community. Keep all of your products; I'm moving on." So what can I do personally and professionally to bridge this divide between People of Color and the rest of us? With each of you, I've witnessed first-hand the insights shared in your presentations. It pains me to see this divide, and I don't know how to impart this to the typically European-ancestored program chairs for nationally-ranked genealogy conferences. In searching for answers last night, I suggested a robust break-out "webinar"series, perhaps via Hangouts, to raise awareness that yes, People of Color espouse the same Genealogical Proof Standard in research methodology as we all hope to employ. This morning I realized the People of Color situation described by George Gedder is similarly expressed by genealogists in the UK, wanting DearMYRTLE's MGP Study Group2 to take on a UK slant to become relevant to UK researchers. My response then was "I cannot rewrite Dr. Jones' book. Do you have something equivalent in the UK?" Our compromise was to study Dr. Jones' book, and internalize his methodology concepts using examples from panelists' personal UK research. Last night, I offered to speak to Geoff Rasmussen of Family Tree Webinars* suggesting a new series. I've always seen Geoff as a man with a kind heart, and I feel he would be saddened to hear of George's concerns. I know Geoff is already putting in over 40 hours weekly on the current webinar lineup, most of it behind the scenes. However, it was only last month Geoff announced the addition of Marian Pierre-Louis as a new host to handle additional nighttime webinars. With two hosts, Family Tree Webinars is using Millennia Corporation's GoToWebinar account only a few hours each week. My suggestion would be to hire an experienced broadcaster, a Person of Color, to host 4-8 webinars monthly. This morning I think back on how many contracts are forged by personal recommendations. I should state that the work of the 13 eminent genealogists eclipses anything I may have accomplished at this point, it's just that perhaps I know Geoff better and may open new lines of communication. No one person knows it all. When tracing African American ancestry, one relies on specific record groups unknown to people of other races, colors and creeds. Were I to find a new genealogist struggling with identifying a possible slave ancestor, I would refer him to any one of the 13 eminent genealogists without hesitation. These individuals are among the finest researchers and educators in the African American genealogy community. We all turn to experts in specific areas of genealogical and historical research. Craig Scott, CG is my go-to man for his expertise with US military history and National Archives (US) records research. Judy Russell, CG is known to many as The Legal Genealogist. I've recently hired Angie Bush as my DNA consultant, quite simply because I don't know enough to make sense of my DNA results. If a new researcher with Jewish ancestry joined one of my hangouts, I'd refer him to JewishGen and Gary Mokotoff. For Welsh ancestry, my pick would be my recent ISBGFH course instructor Darris Williams, AG. It's about the exclusion of People of Color from top level main-stream genealogy conferences on and off the Net and what are we to do about it? There is much to discuss and we all need to be part of the conversation. My suggestions are humbly submitted as first attempts to do more than think the impact of Ferguson is the concern only of African Americans and African American genealogy organizations. Hoping to bring this discussion out into the open, I just want to be part of a solution, and not part of the problem. What are your suggestions? How can our local genealogy societies, Family History Centers and historical associations embrace diversity? * Although I have presented successfully in the past, DearMYRTLE is not in the Legacy Family Tree Webinars 2015 lineup, as I simply didn't submit formal offers to present. Had I submitted, I may not have been selected if other 2014 presenters garnered more webinar CD and associated book sales. Betty, earlier this year I was able to break through this particular brick wall for four of my ancestors. While I agree that the 1900s part of the research would be similar for African American researchers as for white researchers, once I got beyond 1880 and determined that a particular ancestor had most likely been enslaved, not only did I have to find out who the last person was who owned them and start researching the owner, but I also had to shift my thinking about that ancestor...I had to stop looking for her as her own person and start looking for her as *someone else's property. * I haven't been able to attend any of the big national conferences, but the tips & tricks that helped me break through that wall came from a combination of what I learned at 2013 and 2014 MAAGI (Midwest African American Genealogy Institute) and through African American genealogy bloggers affiliated with AAGSAR (African American Genealogy and Slave Ancestry Research). The folks with MAAGI and AAGSAR have been *OH SO VALUABLE* in helping me make that switch in my thinking, and determining the kinds of records available that could help me locate my ancestor as property. The techniques learned were practiced and emphasized over the course of days (MAAGI) and weeks (MAAGI and AAGSAR), and on top of the practice, I also had access to like-minded researchers who could help me sift through the emotions connected with finding ancestors as property. This is a very fundamental way in which African American genealogical research is different. Interesting discussion Myrt. Yes, as host and organizer of our FamilyTreeWebinars.com webinar series, I'm behind the scenes for scores of hours a week to make it happen. Yes, I was saddened to hear of the disappointment of people feeling that we are excluding those of color in our series. Some of my personally favorite webinars in our series have been presented by people of color. Had I received any submissions from people of color for our 2015 series I would have given them the same consideration as any other proposals. Interesting idea about having a new series, I'd just need to figure out how to add some more hours to the day, but perhaps it's something we could do. Myrt, I am so impressed that you posted this and so grateful to you for bringing this conversation to your audience. I think these are extremely important matters and as a White genealogist I have been dismayed at the marginalization of POC genealogy. I am sure that there are complex reasons for this and I do not blame any single individual or group of individuals for this but I do think that it is the responsibility of leaders in the genealogy world to make extra efforts to bridge the divide. I think African American and Native American genealogy should be more than just occasional tracks at conferences -- the commenter you refer to is right, preeminent POC genealogists should be invited to regularly contribute to and participate in many more major genealogical forums, and this is something all of us need to ask for and pay attention to in order for this to happen. No single person's responsibility, but it's a collective responsibility to genealogy as a field and to our ancestors and descendants. Just my two cents, and I'm grateful to you for bringing this up. Much respect. Yes, John, we’re all Americans, but our histories may be very different. Tracing one’s family through ancestors who were considered property rather than people and who may have been bought and sold several times, with or without a paper trail, is a much different project than tracing those who came here willingly as free men and women. John, I second Kathleen's and Mary's comments, particularly the observation that our past is carried into the present. In addition, your "still Brits" comment only applied recently to Irish Catholics, for whom there are still social issues. And you could not fail to read about the very recent issuance of military pensions, after years of litigation, to the persons from India who fought in war in British-organized regiments. Rosy pictures are hard to find in many countries. Pat, thank you very much for broaching exploration of this problem. I think the national organizations are not taking this seriously. Joseph's Coat needs several good tugs. thank you very much for this post. i appreciate the efforts you're making, and i hope that others will be willing to follow suit. It's been a while since we last connected and I hope this note finds you well. The issues raised by you and George have been an ongoing concern of mine for as long as I've been online and connected to the genealogy community. I've seen firsthand how easily the presence and research needs of African American genealogists are ignored by the broader community. As we worked via AAGSAR this year to bring 70+ genealogists online with their research, I witnessed their efforts being ignored and unsupported by established genealogists in the space. All attempts to find common ground with community partners in the space went unanswered. 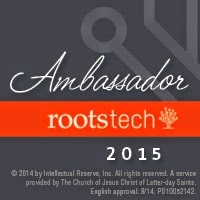 As did my prompts to RootsTech/LDS and Ancestry -- as if my concerns about the inclusion of People of Color was of no importance. The isolation, disparity and culture-bias we've witnessed in Ferguson and many other places, is fully present in the off and online genealogy community as well. It always has been. There are many experts of color whose voices would add needed texture and depth to the ongoing efforts to preserve our family history, yet they continue to be omitted. Ferguson is but a vivid example of how pervasive and permissible culture bias and racism is, and how that dynamic impacts us daily, in the most unexpected places. Thank you for at least being willing to broach the conversation with your audience. Just to put this out there. Before anyone assumes that people of color speakers aren't submitting to the largest conferences, WE ARE, have been, and continue to get rejected year after year and most times have decided to stop submitting. We aren't sending in the same presentations year after year and the lion's share of us are dynamic speakers with years of experience who are continually passed over. I recently started hosting hangouts with an African ancestored focus because it's needed and there is an audience. I saw a void and chose to do something to fill it. It can't be denied that there is an audience when you have Facebook groups with nearly 30,000 members who are focused on this type of research. Nicka - where are the hangouts that you are doing? What time are they and how often? I'm Glad you are Opening the Conversation to the Genealogy Community as a WHOLE. Especially pertaining to POC (Persons of Color). I'm here to SPEAK on behalf of Myself and My ANCESTORS. I have been doing my Family Research since 1998. There have been other's before me in my Family. Generation after Generation our History has been passed down Orally as in the Tradition of Our Ancestors. My "Other" side is European. Their records are RECORED as Opposed to my African American side. There is a way we have to go about Obtaining Records for them. A lot of them are in your RECORDS. We don't have access to. That is one of many reasons WHY we need to be in these Forums in the Genealogy Community. I try my best to Represent all of Them in any Form or Fashion I can. 2 years ago I decided to take my Work Online in a form of a Website and Blog. For here I will Speak for my Persons of Color in this forum. I'm trying to understand also who the "Eminent 13" are? In my daily work online. I'm around over 20,000 different People of Color everyday just in 2 online Social Media Groups. That's just 2 which I'm a part of many. There are many forms in which the present their Work in all areas of research and specialities. We have POC in Genetics, Genealogy in all kinds of arenas. We even have Food Historians. Opening the Floor 1 month is a Beginning featuring POC in their Specialities to let the Genealogy Community know we are OUT HERE! I don't know what the disconnect is between US and Them? Why does it have to be the Genealogy Community vs EVERYBODY else? We use these Products and Visit Sites and try to Attend Conferences high and low. For one it needs to be a Recognition not just in February or when acts of Ferguson come up from time to time. It needs to be ONGOING. It needs to Acceptable and Unrelenting. Our HISTORY is part of the Genealogy Community. One can not keep continuing without the OTHER. They go hand in hand. I'm all for Helping and Getting this Established. It's been long over due. I'm tired and weary of talking about WHY we Matter in the Genealogy Community and Why we are not Represented by only a few when there are MANY I mean Countless Many out there that can HELP. My Family History MATTERS and everyone should know that if you leave one behind, one out. Your History won't matter without Each Other. Thanks for opening the Floor to Discussion. I look forward to continue to Follow you and other's and hope others ASK someone, ask your Neighbor where do I find these POC. We are EVERYWHERE in all kinds of Venues. I hope the Community VOICES there concerns and STAND and not be Silent on this Issue and quit acting like POC History don't matter, it doesn't have a place here or there. There has to be a Place where we can MEET on this. Thank You. True! of My True Roots and my Ancestors. This is my first comment. Thank you for addressing this issue. I just want to remind everyone that using the word "we" and the words "People of Color" is part of the problem. All who study history and family history and social history need to figure out a way to talk to each other without the grouping terminology. I don't have any answers as to how to do this. I'm just scared. Let's begin saying ALL of us have much to learn about how to do research and share it with others. kannon320. There is no reason to be afraid. We are beyond that. We all need access to records and stories. We are not there yet for us not to be using terminology. The People of Color and "We" usage is Acceptable language. "We" "Persons of Color" have already been LEFT out of the Narrative, gone and forgotten. Footnotes. Side notes. We weren't even considered PEOPLE, we were Property and Chattel, just SLAVES. That is why that language is not ready to be put aside. We still aren't Recognized. kannon320, i have to admit that i'm confused as to what's scaring you about this conversation. please elaborate. I don't understand. Why are you scared? While I understand your sentiments kannon320, if things were all inclusive from the beginning, there would be no need to use the terms "we" and "people of color." For the sake of discussion, there is no way I can address the topic at hand without using those terms because they have been so normed at this point. The nature of inclusion is what's on the table for discussion. There is also no such thing as colorblindness in this society, a term whose failure is evident in the sad state of inequality in this country. A lot of this is structural and that in turn, will impact how genealogy and family history is undertaken. Learning from others can help. Fear isn't going to get you there, reaching out will. I am saddened to read the articles by Linda Norris and George Geder. As a co-director of the Washington DC Family History Center, I would like to share some of what we do to assist African-American and researchers of other race/ethnicities. (Because I am of Greek descent, I know first-hand the roadblocks of ethnic research and am super-sensitive to this issue.) Our WDCFHC has several focus groups that we generated to address these specialized resource needs. One of these is our African-American group which meets every Monday. It has grown so large that we have closed our FHC to the public so these dear friends can have full use of our facility. For three years, this group has organized and participated in Black History Month genealogy mini-conferences held at our local Visitors’ Center. Because of increasing requests for more help, I proposed to several local AAHGS chapters that we work together and sponsor a free, all-day African-American genealogy conference on February 7, 2015 (AAHGS is the Afro-American Historical and Genealogical Society). This will be an outstanding event with top presenters. Our WDCFHC annual conference includes sessions addressing African-American research. We support all who ask us for speakers – I have presented at Juneteenth celebrations and AAHGS chapter meetings. In turn, our AAHGS friends support us by providing help for our patrons who need their specialized assistance. It is a win-win for all. For those who want to find a diversity balance, my advice is to reach out and offer your hand first. If this balance is not met, we will fail to help those in our community who need our help, that is a tragedy for us all. Awesome effort Ms. Carol. The Oakland (CA) Family History Center has a similar group that meets there once a month and they continually partner with the African American Genealogical Society of Northern California for similar efforts. The Sacramento (CA) Family History Center also does likewise. Myrt, thank you for this discussion. If more organizations would follow Carol Kostakos Petranek's and the Washington D.C. Family History Center's lead of reaching out to all researchers, they would no doubt see the enormous benefits of serving the entire community. There should be an African American track at every genealogy conference that seeks to serve the national community. This is a concern that has been brought out repeatedly over the last several years and it is a conversation that is overdue.